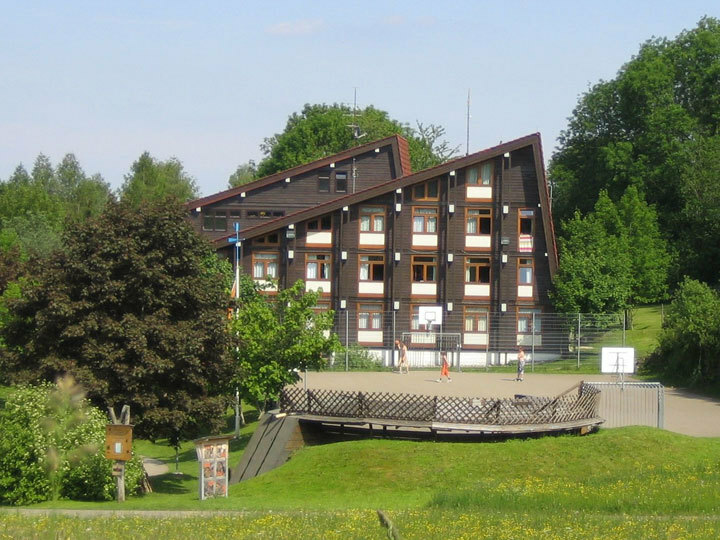 Welcome tothe youth hostel Sonnenbuhl-Erpfingen! 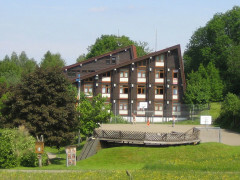 Sonnenalb is located on the magnificent location surrounded by meadows and forests in the surrounding area. There are so many sights and opportunities for leisure time activities. Cave, Nebelhohle, Lichtenstein Castle, Burg Hohenzollern, the Sommerbobbahn, the adventure park, Naturerlebnispfade, cycling and hiking trails, and much more.Our house was by the German and the DEHOGA Jugendherbegswerk alltogether as particularly excellent.All 38 rooms have a wash basin, shower and toilet are either in the rooms or permanently assigned to this compared to. There are 2-bed, 3-bed, 4-bed and 6-bed rooms.Our guests have the choice of 6 rooms, 1 family room, a disco, and 1 table tennis/Tischfußballraum available.Our generous outdoor area has a sports court for foot and basketball courts, volleyball field with artificial turf, TT-plates, barefoot trail, playground, bowling, etc.bands are available for 3 pianos, 1 Keyboard and adequate rehearsal rooms available toaccommodate your group. For - beamer - flip charts - Overhead projector - DVD-player - Board - Whiteboartd - moderator's case - W-LAN.There are 31 different program modules for school classes available.We are looking forward to you.